This excerpt from Machen’s Education, Christianity & the State argues that revivals are born in controversies, and that “positive preaching” neglects the obvious polemics of the Bible. Again, men say that instead of engaging in controversy in the Church, we ought to pray to God for a revival; instead of polemics, we ought to have evangelism. Well, what kind of revival do you think that will be? What sort of evangelism is it that is indifferent to the question what evangel is it that is to be preached? Not a revival in the New Testament sense, not the evangelism that Paul meant when he said, “Woe is unto me, if I preach not the gospel.” No, my friends, there can be no true evangelism which makes common cause with the enemies of the Cross of Christ. This excerpt from Machen’s Education, Christianity & the State deals with the necessity of argumentation in defense of the faith. This excerpt from Machen’s Education, Christianity & the State deals with the necessity of an active and counter-cultural defense of the faith. This excerpt from Machen’s Education, Christianity & the State deals with the necessity of scholarship in evangelism. …[I]f salvation depends upon the message in which Christ is offered as Saviour, it is obviously important that we should get the message straight. That is where Christian scholarship comes in. Christian scholarship is important in order that we may tell the story of Jesus and his love straight and full and plain. This excerpt from Machen’s Education, Christianity & the State deals with what today would be called “head knowledge” and “heart knowledge.” Machen argues here and in last week’s post that saving faith cannot exist without some modest degree of intellectual understanding of the gospel. …[I]s this modern anti-intellectualistic view of faith in accordance with the New Testament? Does the New Testament offer a man salvation first, on the basis of a psychological process of conversion or surrender–falsely called faith–and then preach the gospel to him afterwards; or does the New Testament preach the gospel to him first, set forth to him first the facts about Christ and the meaning of His death, and then ask him to accept the One thus presented in order that his soul may be saved? Christian scholarship is necessary to the preacher, and to the man who in whatever way, in public or in private, endeavours to proclaim the gospel to his fellow-men, in at least three ways. D.G. 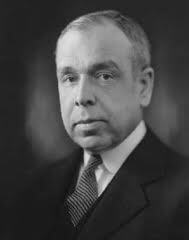 Hart, "J. Gresham Machen and the Problem of Christian Civilization in America"
Samuel Craig's Review of Machen's "The Virgin Birth of Christ"
"Christian Scholarship and the Defense of the Faith"
"The Necessity of the Christian School"
"The Responsibility of the Church in Our New Age"
"The So-Called Child Labor Amendment"
Sermon: "The Separateness of the Church"